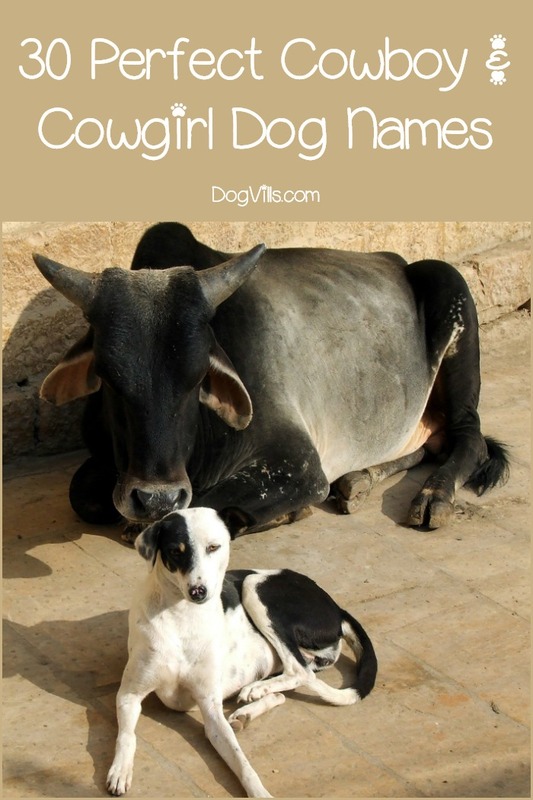 Looking for some fun cowboy and cowgirl dog names to celebrate your country heritage? You’re going to love all these fun monikers! From classy country western dog names to clever redneck names, we’ve got all the cutest and funniest things to call your new dog! We’ve picked out our favorites in each category for you! 1. Bandit- A bandit is an outlaw, robber or thief, often part of a traveling gang. 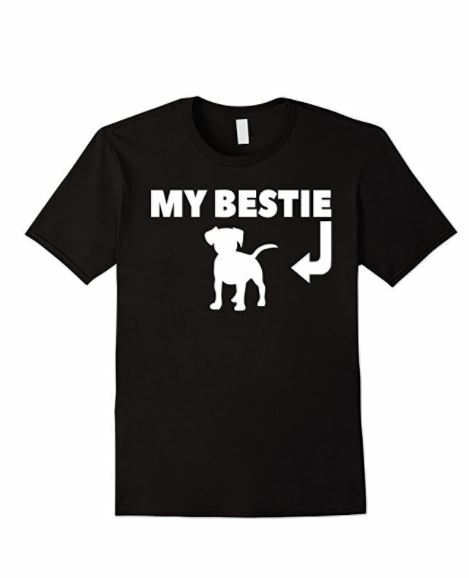 Bandit is the perfect name for a dog who is energetic or mischievous. 2. Cletus– Inspired by the hillbilly on The Simpsons , the name is actually a Greek moniker that means “glory.” It comes from Klietos, a general in Alexander the Great’s army, according to Think Baby Names. 3. Outlaw– An outlaw is someone who has broken the law and is considered to be a fugitive. Some of history’s most notorious outlaws include Billy the Kid, Jesse James, Wild Bill Hickok and Wyatt Earp. 4. Betty Lou– Betty is from Hebrew origin meaning “pledged to God.” The most popular fictional character is Betty Lou Who, who was the mother of Cindy Lou in the 2000 movie, How the Grinch Stole Christmas . 5. Earlene- Earlene means “noble,” making it a fitting redneck dog name for a proud and confident dog. 6. Elly May– Elly is from English origin meaning “bright shining one.” The most famous fictional character is Elly May Clampett from the television series, The Beverly Hillbillies , which aired from 1962 to 1971. 7. Billy Ray– After the country singer, Billy Ray Cyrus. The name “Billy” comes from William, which means “protector.” Pretty perfect for a guard dog, don’t you think? 8. Desperado– Desperado is a desperate or reckless criminal. Desperado is also a 1995 contemporary western, action movie starring Antonio Banderas. 9. Magnum– Magnum is a popular line of rifle cartridges, ranging from .17 caliber to .50 caliber. The two most popular ones are the Smith & Wesson .357 Magnum and the Remington .44 Magnum. 10. Annie– Annie is from English origin meaning “grace.” Annie Oakley was a famous sharpshooter and an exhibition shooter. Annie Walsh was a criminal who was the leader of the gang known as the Lady Gophers. 11. Belle– Belle is from French origin meaning “beautiful.” Belle Starr was a notorious outlaw, mainly associated with the James-Younger Gang. 12. Dixie- Inspired by Dixie Chicks , the all-girl country band. While the word itself means “tenth,” Dixie is also a region in the south. It’s the Calgary Stampede Parade Day today! 🤠 🐎 The parade is the kick off to The Calgary Stampede – The Greatest Outdoor Show on Earth! My parents don’t let me go, but they don’t mind dresses me up in spirit… really guys? 🙄 Have you ever visited Calgary or the Calgary Stampede? 14. Cody– After Buffalo Bill Cody, one of the greatest Wild West showmen throughout history. The name means “helper” in Gaelic. 15. Wyatt– Wyatt is from English origin meaning “brave in war.” Wyatt Earp was a notorious Old West deputy marshal, deputy sheriff and gambler. 16. Kitty- Kitty is from English origin meaning “pure.” Kitty Leroy was an Old West gambler, madam, saloon owner and trick shooter. 17. Maggie– Maggie is from English, Greek and Scottish origin meaning “pearl.” Maggie Parker is a cowgirl and the first female professional bull rider. 18. Velma– While the name was made popular by Scooby-Doo , Velma is actually one of the most influential cowgirls, according to Equitrekking. You might know her by her other name, “Wild Horse Annie.” She was passionate about protecting wild horses. 19. Jedediah– Jedediah is from Hebrew origin meaning “beloved of the Lord.” Jedediah Smith was a famous author, cartographer, explorer, frontiersman, hunter and trapper. 20. Wild Bill– Wild Bill Hickok, born James Butler Hickok, was an Old West folk hero, as well as a drover, gambler, gunfighter, lawman, soldier and wagon master. 21. Calamity- Calamity Jane, born Martha Jane Canary, was a frontierswoman and a professional military scout. 22. Liddy- Liddy is from Greek origin meaning “woman from Lydia,” referring to the Iron Age Kingdom in modern Turkey. Liddy Watson, also known as Cattle Kate, born Ellen Liddy Watson, was an Old West outlaw and Wyoming settler. 23. Silos- Silos is from Latin origin meaning “of the forest.” Silos are mainly used in agriculture to store bulk materials, most notable fermented feed and grain. 24. Tiller– A tiller is a farm implement, also referred to as a cultivator. This piece of agricultural equipment is used to pulverize and stir the soil before the planting process. 25. Fallow– Fallow refers to the coloring of a fallow deer, which is a pale sandy-brown color. In the area of farming, a fallow is known as one of the stages in crop rotation, in which an area is left unsown in order to restore its fertility. 26. Lassie– Lassie is from English origin meaning “girl.” The most well-known Lassie is a fictional character, a Rough Collie dog breed, from books, movies and television. 29. Bonnie- Bonnie is from Scottish origin meaning “beautiful, cheerful.” Bonnie McCarroll, born Mary Ellen Treadwell, was a bronc rider and champion rodeo performer. 30. Lindsay– Lindsay is from Scottish origin meaning “from the island of the lime tree.” Lindsay Sears is a two-time winner of the World Championship Barrel Racing, one in 2008 and the other in 2011. How much do you love all of these cowboy and cowgirl dog names? It’s hard to pick a favorite, isn’t it? I kind of love Bonnie for a girl, and Wyatt for a boy. How about you? What are some of your favorite cowboy and cowgirl dog names? Share below!